Mathieu Baudry insists Doncaster Rovers can play their way out of League Two. The French defender, 28, has arrived at Rovers from Leyton Orient with a reputation for not just defending but playing it out from the back. Baudry’s ability on the ball is likely to make him a key man in Darren Ferguson’s new-look Rovers side which will attempt to bounce back to League One at the first time of asking. The former Le Havre trainee has spent the majority of his career in England in the third tier, but after spending last season in League Two with Orient he knows exactly what to expect next term. 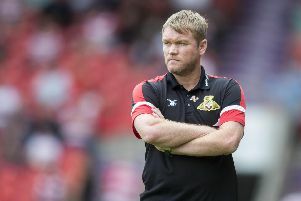 And he is convinced Doncaster can get out of the division by sticking to Darren Ferguson’s principles. “I like to play good football, I like to play it out,” Baudry told The Star. “So I suppose I’m not your typical centre back. “First and foremost I’ve got to do my job defensively but I can bring a bit more with the ball and I’m happy to do that. “I know the manager and his teams always play good football. “Oxford went up last season playing good football - so it’s possible to get out of this league playing like that. “I know there’s a time and a place to do it,” he added. “But I wanted to be somewhere where the manager encourages his team to play. “Of course, there will be times when we will have to adapt to the situation and mix it up. Baudry was skipper at Leyton Orient, where he rejected a new deal.